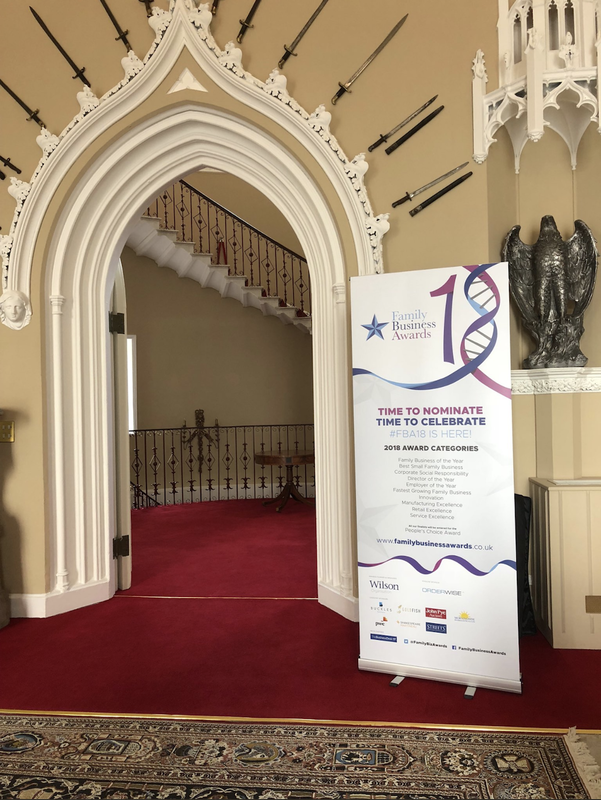 It was great to have a quiet week with only one category being judged – especially as we had the Finalists Celebration & People’s Choice Briefing at Donington Hall to enjoy too! We would like to say thank you to our finalists for joining us for the event - we hope our advice was useful and you enjoyed meeting your fellow finalists. There may only have been one category being judged this week, but it was the big one – Family Business of the Year. The judging day was hosted at OrderWise, our current Family Business of the Year and headline sponsor for the 2018 Awards. 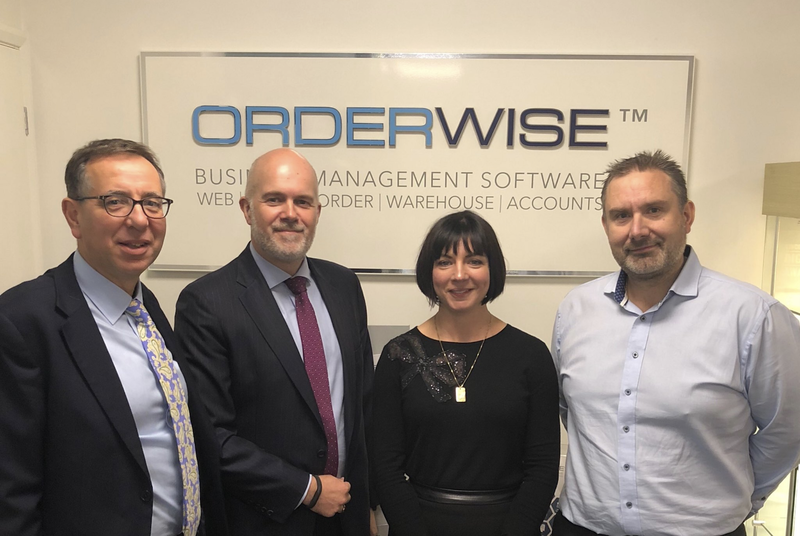 Family business OrderWise was founded by Managing Director David Hallam in 1991 and is now one of the UK and Ireland’s leading suppliers of dedicated business management software. Today, it employs over 175 staff at the purpose-built headquarters in Saxilby, Lincoln. The management team has a combined working knowledge and experience of over 100 years in the business software arena and in total there are over 10,000 users of OrderWise throughout the UK and Ireland. OrderWise is an established, profitable, well-connected company, staffed by remarkable people, behind a truly exceptional product. Neil is a partner who leads PwC’s Private Business practice in the Midlands - a 300 plus strong team that delivers a tailored service to private and family businesses and their owners. Neil is an Assurance partner and proud Brummie who works with a wide range of ambitious Midlands private businesses, ensuring they benefit from his knowledge of the market and his network, experience and personal service. Neil's experience of privately owned, private equity backed and family businesses spans all stages of their development and a number of different industries. He supports his assurance clients by ensuring their businesses are robust to future challenges. James is Marketing Partner at Streets Chartered Accountants, a top 40 UK accountancy practice. As a specialist in marketing professional services, James is responsible for the development and implementation of the firm's strategic marketing as well as its engagement in the community in which it works in and serves. As part of his wider interests in enterprise, marketing and education, James is a board member of NBV – the East Midlands Enterprise Agency, an FE College Governor and a board member of the University of Lincoln’s Business School. He is also an Institute of Director’s past Branch Chairman. Annabel Prow of Wilsons had also planned to be on the judging panel as the Awards Representative, ensuring the interviews are consistent, fair and kept to time. Unfortunately, she was (unavoidably) delayed on her return from the Lake District, so Charlotte stepped in to take on the role – after all, what are sisters for? Bumble Hole Foods is “probably the most respected egg processing company in the UK.” From its humble beginnings, it now operates from the most modern, state-of-the-art egg processing food factory in the UK, with full BRC grade AA, Soil Association and Marks and Spencer A list approval. Glossop Cartons is the UK’s leading manufacturer of carton board packaging products to businesses across the UK. By investing in the latest packaging technology and machinery, it can deliver innovative packaging solutions that protect and help to sell its customers’ products. Its award-winning team has worked with a wide range of products from food and drink to household and beauty and most things in between. J-Flex is a leading UK elastomer solutions provider. Its solutions include high performance elastomer sheetings for gasket conversion and lamination applications and manufactured elastomer components such as mouldings, extrusions, bellows, seals, sleeves and expansion joints. Established in 1984, it has over 200 years of combined industry experience, over 2,000 customers and exports to over 55 countries. Travelworld Motorhomes and the Edwards family has been serving the motorhome community in the UK one way or another for nearly 40 years. Travelworld has never stopped investing in its facilities, customer services, staff training and the wider industry and is now one of the largest dealers in the Midlands and the UK. Ward was established in 1940, specialising in the recycling of ferrous metals. Today, it is managed by third and fourth generation family members who have stayed committed to developing waste management and recycling techniques, responding to the waste management needs of modern business and industry. WBPS is a leading critical power specialist that has provided solutions, maintenance and hire to customers across the UK for over 30 years. WBPS ensures that its clients’ operations can continue in the event of mains power failure. It offers immediate access to plant and equipment and delivers industry leading 24/7/365 service, rapid response, reliability, expert advice and value for money.